Move Akatsuki "Ein" is stealing the show! 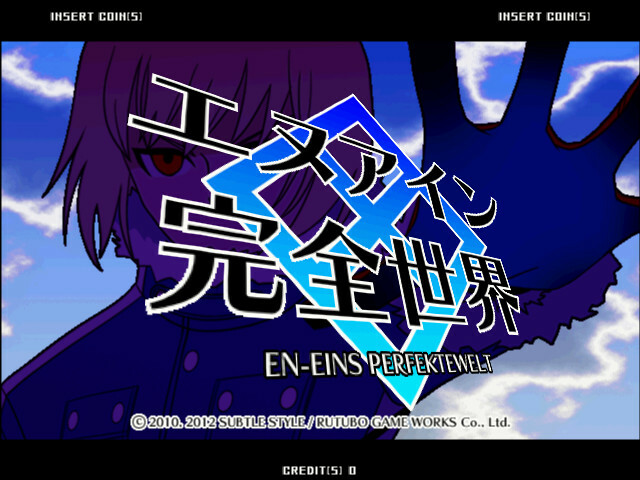 EN-Eins: Kanzen Sekai (also known as EN-Eins: Perfektewelt) is a 2D fighting game developed by Subtle Style (in conjunction with Rutsubo Game Works) and released by Subtle Style for arcades (running SYSTEM BOARD Y 2 hardware) exclusively in Japan on June 25, 2010. The game was later ported to the PC-based Taito Type X² arcade boards and released digitally via NESiCAxLive on February 22, 2012. A lot of the characters have overhauled movesets while at the same time still playing like how they're supposed to.